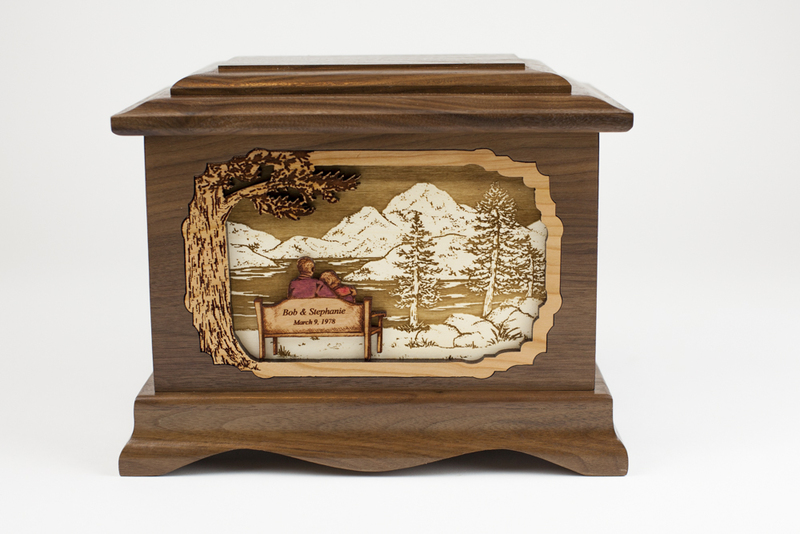 Our new “Soulmates” cremation urn presents a timeless memorial of your life and love together. 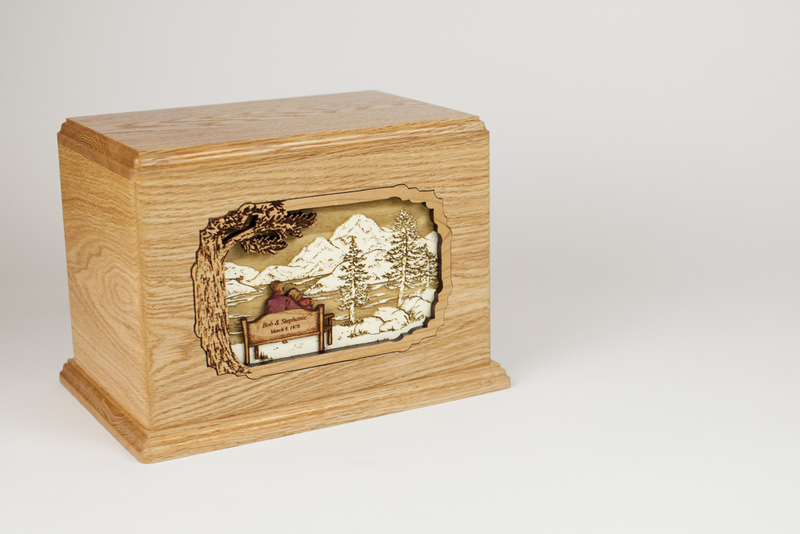 Using elegantly constructed and engraved inlay hardwoods, this memorial art urn features a serene mountain lake with a couple sitting together on a personalized bench. 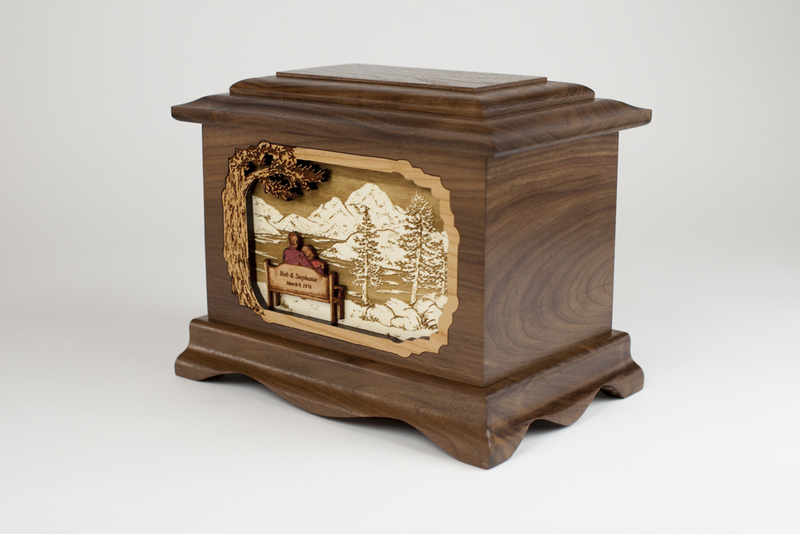 This wood cremation urn is crafted in the USA. 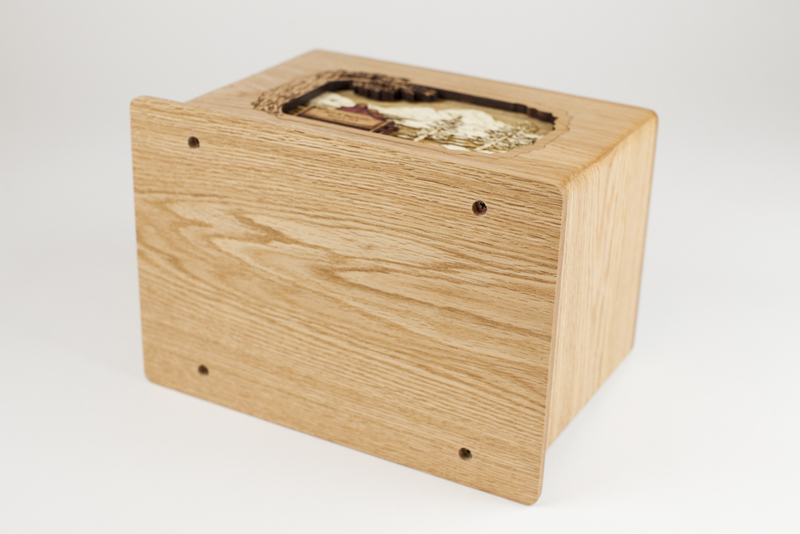 Below, we’ll show photos and videos of this “Soulmates” art scene in both Walnut and Oak wood cremation urn boxes. It’s also available in Maple and Mahogany woods – your choice. 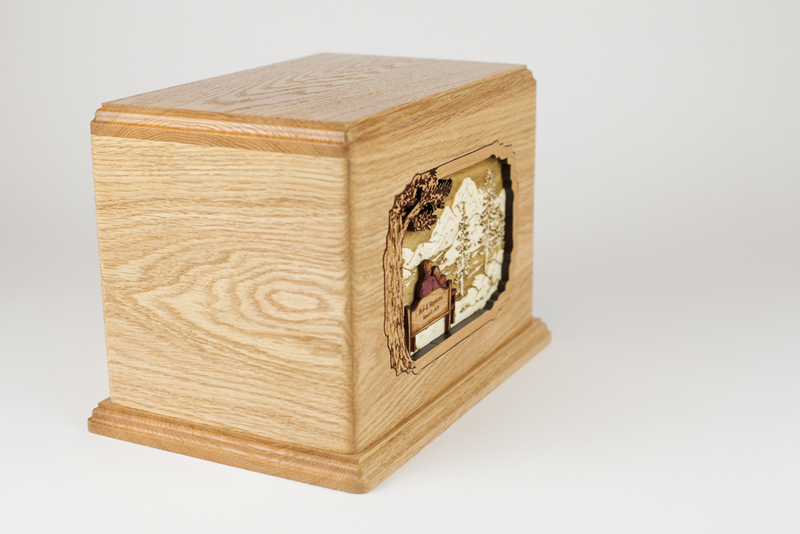 We offer it in a standard adult urn size plus a larger, 400 cubic inch “Companion Urn” size which can hold the cremated remains of two people. Additionally, this scene includes personalization on the back of the raised bench. 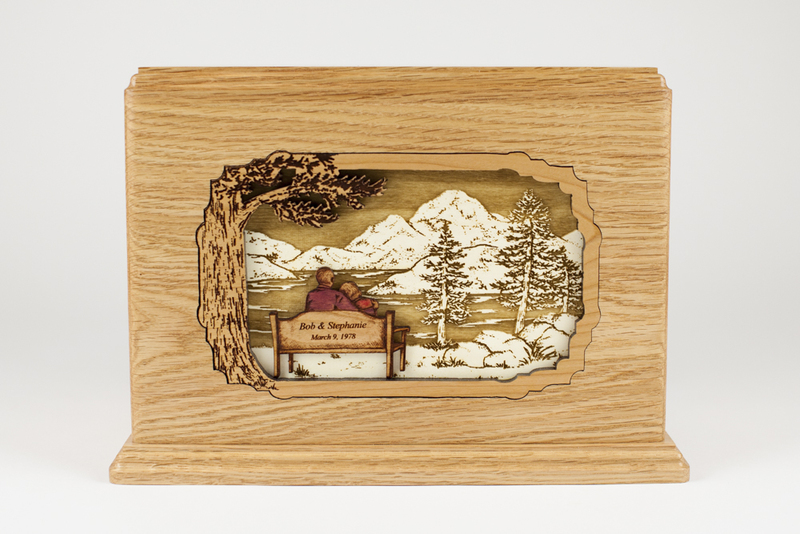 We’ll laser etch the couple’s first names and wedding date, included with the order at no additional charge. Let’s check out this memorial. 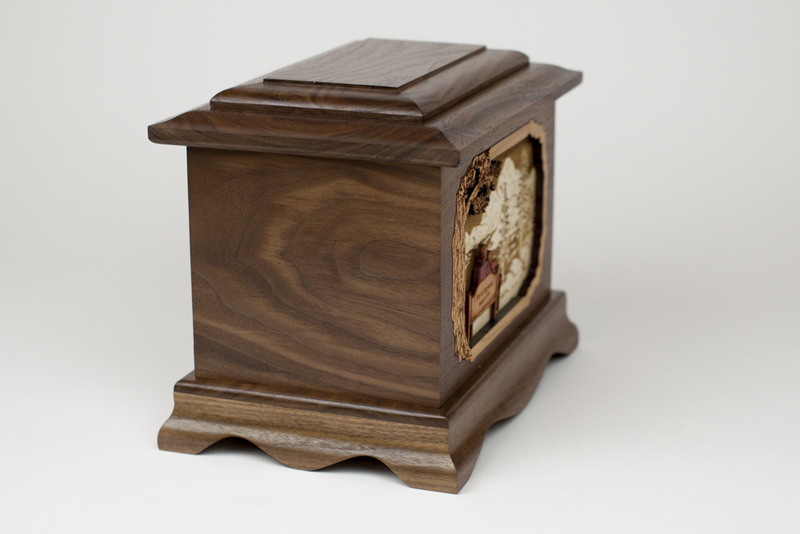 Let’s first look at a video showing all sides and angles of the Soulmates Cremation Urn. 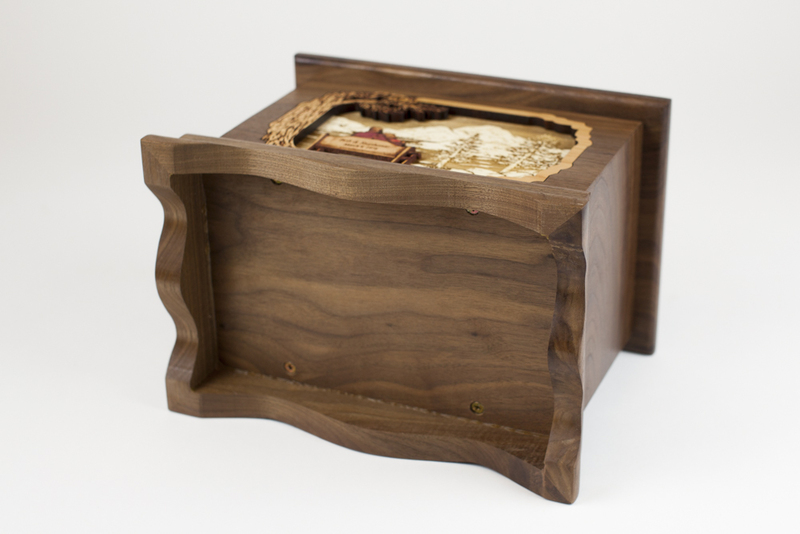 You’ll see this memorial in standard adult size, in dark Walnut wood, and also in companion size in lovely Oak wood. 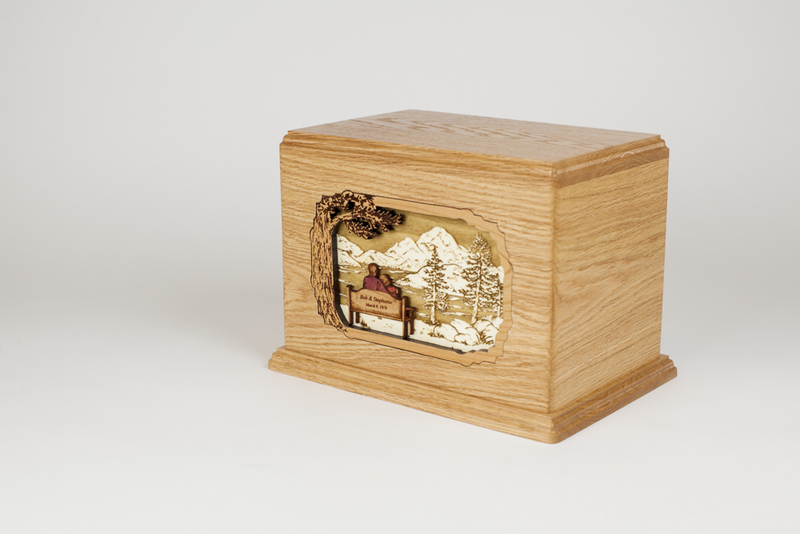 This gorgeous urn is available here. 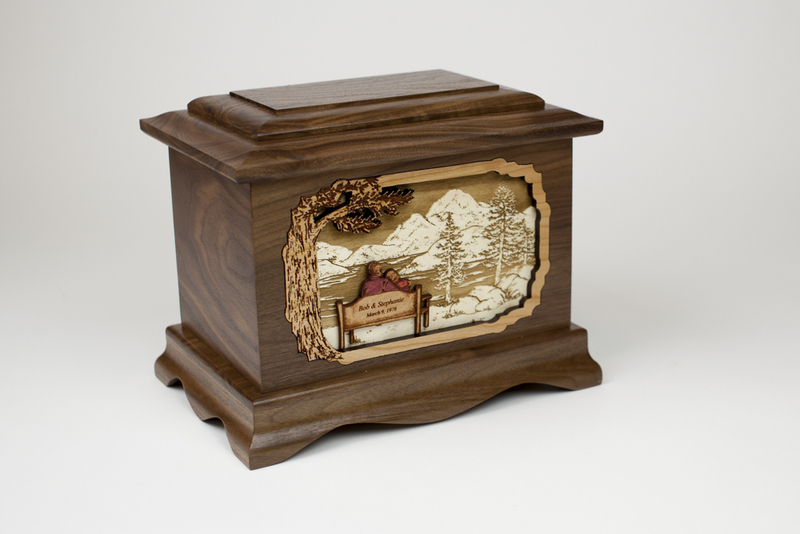 Now that you’ve had a detailed look at this wood art memorial urn, here is a rundown of the most important details. 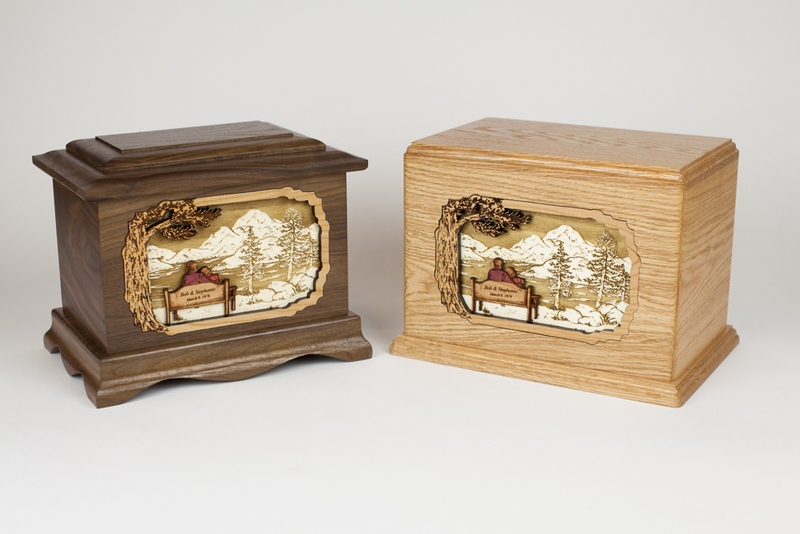 These two urns are available here; you can also browse our extensive collection of inlay art designs here. 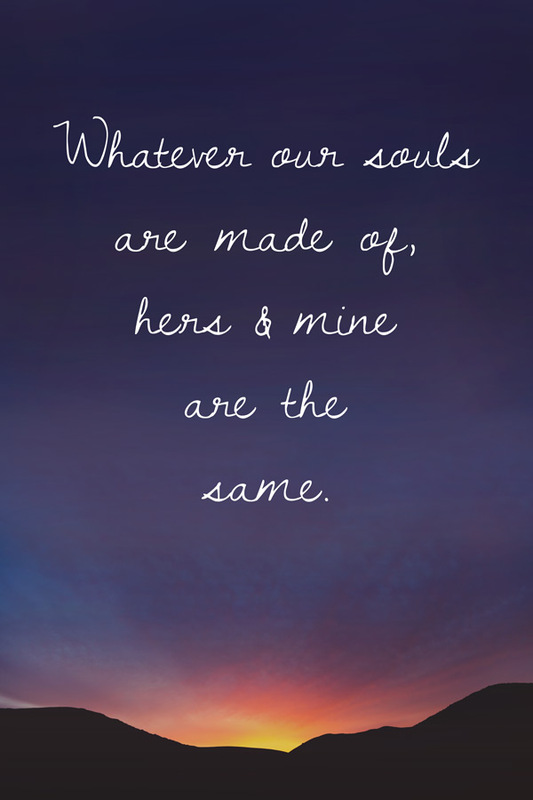 Here’s a little bonus soulmates quote – from Emily Bronte – for you to bookmark, order a print, pin to a Pinterest board, or simply enjoy. Quote prints are available with His and also Hers editions. Next post: Burial or Cremation: Which is best for you?